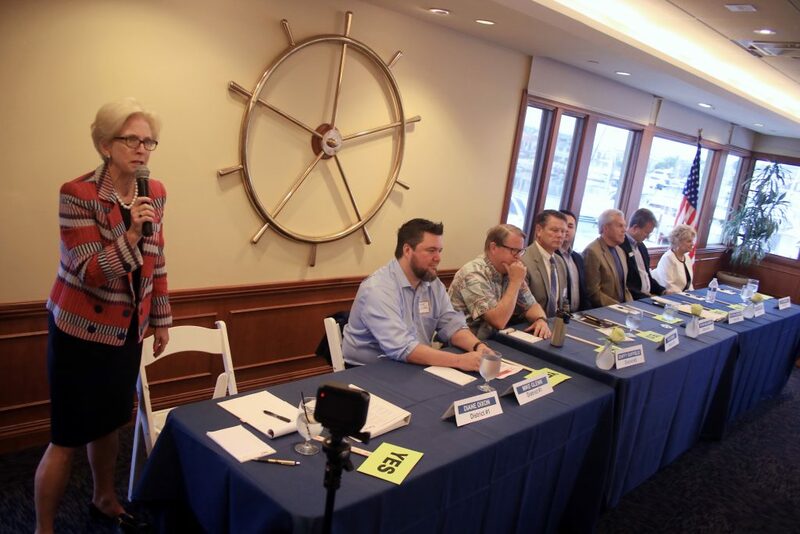 Newport Beach City Council candidates (left to right) Diane Dixon, Mike Glenn, Marshall “Duffy” Duffield, Tim Stoaks, Kevin Muldoon, Roy Englebrecht, Scott Peotter, and Joy Brenner, answer a question about parking during the Corona del Mar Chamber of Commerce forum Thursday at Bahia Yacht Club in Corona del Mar. As the campaign season nears the halfway point, Newport Beach City Council candidates this week attended their third forum. While some of the topics and comments were the same as previous forums, there were also several new and interesting remarks. 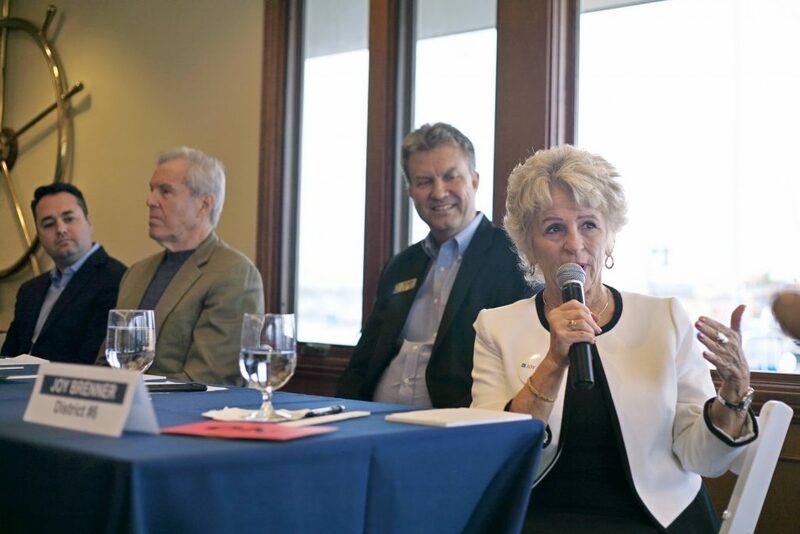 “Food for thought,” noted Linda Leonhard, president of the Corona del Mar Chamber of Commerce, the group that hosted the forum, held Thursday morning at Bahia Corinthian Yacht Club in Corona del Mar. The event was moderated by Bernie Svalstad, chairman of the Chamber’s Good Morning CdM monthly discussion. Right out of the gate, Svalstad asked to hear something different from the candidates. “I don’t want to hear the speech, I want to hear how you differ from your opponent in this election,” Svalstad said. It was the first question of the morning and it resulted in some interesting answers. “I believe I differ from my opponent. 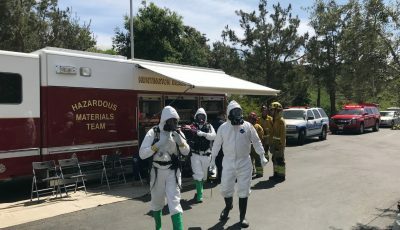 I’m positive about the city, and the opportunities we have to keep our city safe, to keep our city growing, and to serve the residents first, and businesses as well,” said incumbent Diane Dixon. 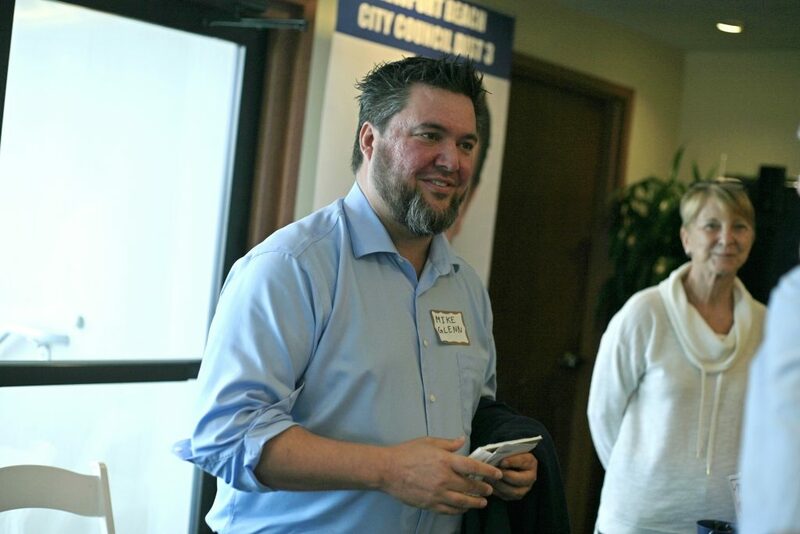 Newport Beach City Council candidate Mike Glenn talks with residents after the Corona del Mar Chamber of Commerce forum Thursday at Bahia Yacht Club in Corona del Mar. Mike Glenn, challenging Dixon for District 1, which covers Balboa Peninsula and West Newport, said he is concerned for the city. In the other district races, the incumbents mostly stuck to their traditional introductory speeches, while the challengers elected to outline their differences. 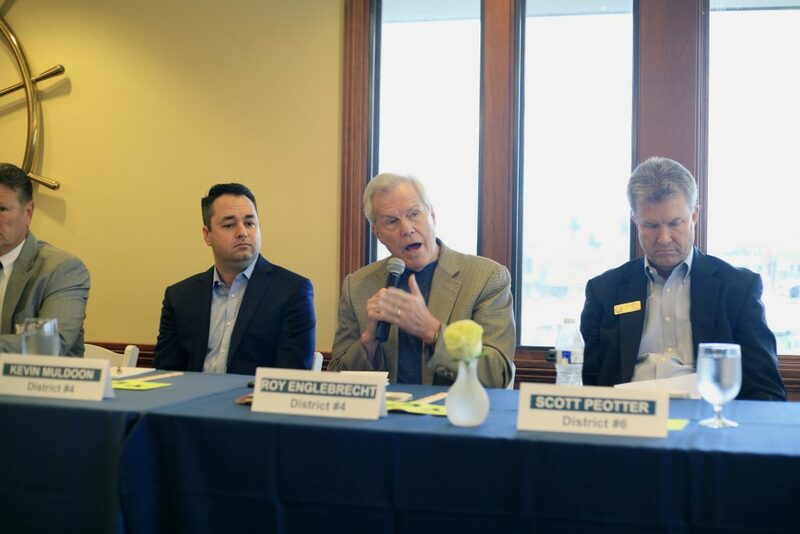 The real difference is what the residents of what Newport Beach think, commented Roy Englebrecht, who is running against incumbent Kevin Muldoon for District 4, which covers Eastbluff, One Ford Road, Bonita Canyon, and Baypointe. 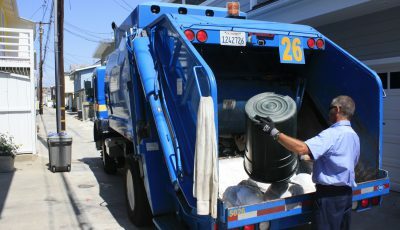 Brenner and Peotter are running in District 6 includes Corona del Mar, Cameo Shores, and Pelican Hill. In another race, incumbent and current mayor, Marshall “Duffy” Duffield, pointed out some of the things he and his opponent, Tim Stoaks, have in common. He noted that they both live under the flight paths and understand the importance of the airport agreement, they both don’t want “Miami Beach” like development, and they both recognize the harbor as a “precious jewel” for the city. 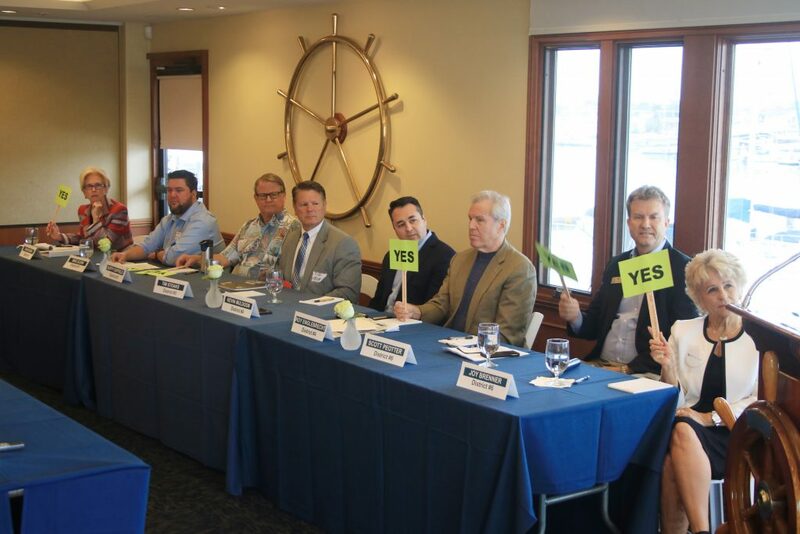 “It’s a good question,” Duffield said of the topic of how they differ, “but I think it’s more about how you go about getting what you want done, done,” Duffield said, adding some of his history advocating for the harbor. Although his challenger in District 3, which includes area around Castaways, Dover Shores, and up the bay to Santa Ana Heights, saw it a little differently. Newport Beach City Council candidate Tim Stoaks chats with residents after the forum Thursday. 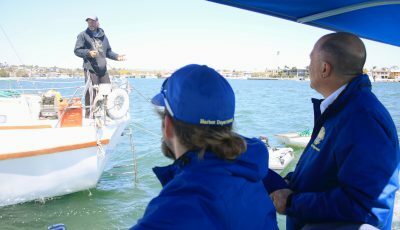 Stoaks agreed that he is passionate about the harbor, but the difference between he and Duffield is significant. 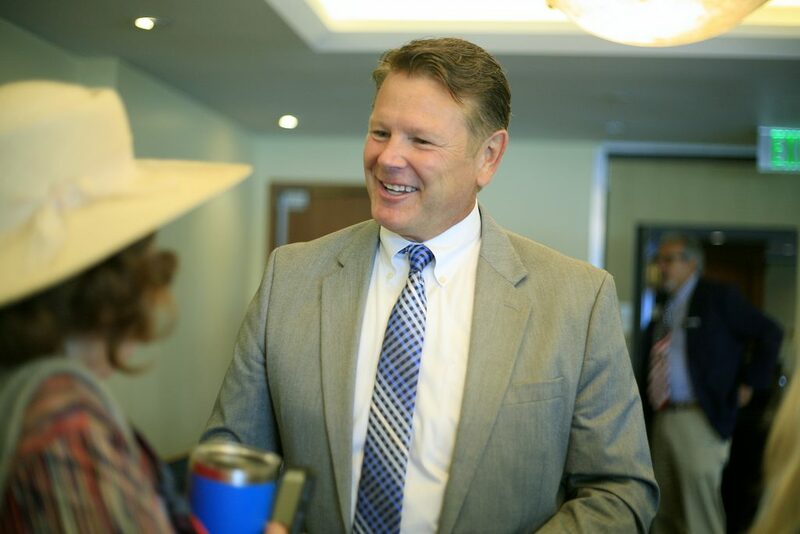 Stoaks can vote on harbor-related issues, while Duffield has to recuse himself because of a business conflict, as instructed by the California Fair Political Practices Commission. Also, their opinions on the now-defunct Museum House condominium tower project are opposing, Stoaks pointed out. Duffield voted in support of the project, while Stoaks helped the signature gathering campaign against Museum House. During one portion of the short answers, Svalstad posed several interesting, and a few challenging, questions together: Are the candidates connected or working with any Political Action Committees or political consultant, if so, who? How much money is in their campaign account and how much did they loan to it? 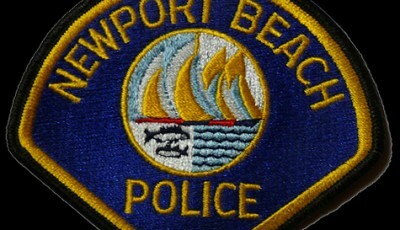 And is “Team Newport,” the self-dubbed slate of now-incumbents from four years ago, working together again this election? As far as who is in the lead with the most in the bank, most of the incumbents are ahead. Duffield said, not including the fundraiser he had the night before the forum, he has about $85,000, none of which he loaned himself. Dixon said she has raised about $90,000 and has about $75,000 “cash on hand” in her campaign account. She loaned herself about $14,000. Muldoon has about $70,000 in the bank, with no loans from himself. He also pointed out that he has the second highest number of individual contributors, just behind Dixon. Peotter has about $12,000 and has not loaned himself any money. Newport Beach City Council candidate Joy Brenner answer a question during the CdM Chamber of Commerce forum on Thursday. Brenner tops the list as the challenger who has raised the most funds thus far. She has about $60,000 in the bank now, with about $22,000 of it loaned from herself. Stoaks has about $12,000 in his campaign account, and of that, he loaned himself $2,000. Englebrecht has about $10,000 in his campaign account, $5,000 of which he loaned himself. Glenn’s campaign account has about $500 in it and he has spent about $2,000 of his own money. The people behind the scenes for the candidates is again a hot topic for this election cycle. Incumbents Duffield, Muldoon, Peotter, and Dixon, all confirmed that Dave Ellis is once again their campaign consultant, as he was in 2014. Ellis and Team Newport were subjects of discussion and debate during the 2016 election as well. None of the challengers have political consultants. She called her campaign a “grassroots” effort with an assembled team of supporters. Englebrecht commented that, as a fight promoter (a “pretty tough” business), if he can’t promote his campaign himself, he definitely shouldn’t hire a consultant. Stoaks said he’s the person staying up until 2 a.m. developing his pamphlets and other promotional material. Glenn also stated that he is running his own campaign. All four incumbents affirmed that they are not running as a team this time. Dixon also confirmed that they are all running independently, although she has proudly supported and donated to Muldoon. Both Peotter and Duffield also reiterated the “No Team Newport” statement for this election. Although some challengers questioned the incumbents’ statements on this topic. “How do you know there is a Team Newport? All the politicians up here told you there wasn’t,” Glenn said. Other questions revolved around the Business Improvement District structure, John Wayne Airport and the airport agreement, traffic, Measure T, unfunded pension liability, and the business license fees. Newport Beach City Councilwoman Diane Dixon, who is running for re-election, answers a question during the forum as her fellow candidates listen. First I want to say few words about myself to put my words into a context so white people can understand. My parents were undocumented when they came into this country. I was too young to remember much, but I was too. Our family is part of a larger family were mostly everyone is undocumented and proud. My father got involved in an organization called “La Raza” which some of you might know about. We have the support of most of the Latinos in Southern California. He taught me about Chicano Park and the Chicano movement and now I am a part of La Raza too. Get out your dictionary and refer to hypocrite. LOL @ The Race!